Current enterprises spend much effort to obtain precise models of their system engineering processes in order to improve the process capability of the organization. The manual design of workflow models is complicated, time-consuming and error-prone; capabilities of human beings in detecting discrepancies between the actual process and the process model are rather limited. Therefore, automatic techniques for deriving these models are becoming more and more important. 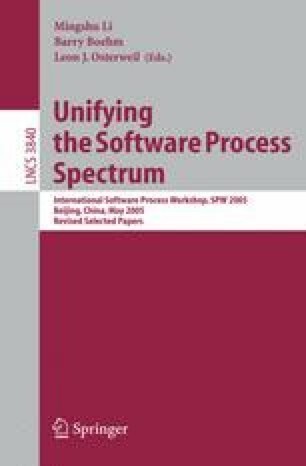 In this paper, we present an idea that exploits the user interaction with a version management system for the incremental automatic derivation, refinement and analysis of process models. Though this idea is not fully worked out yet, we sketch the architecture of the solution and the algorithms for the main steps of incremental automatic derivation of process models.